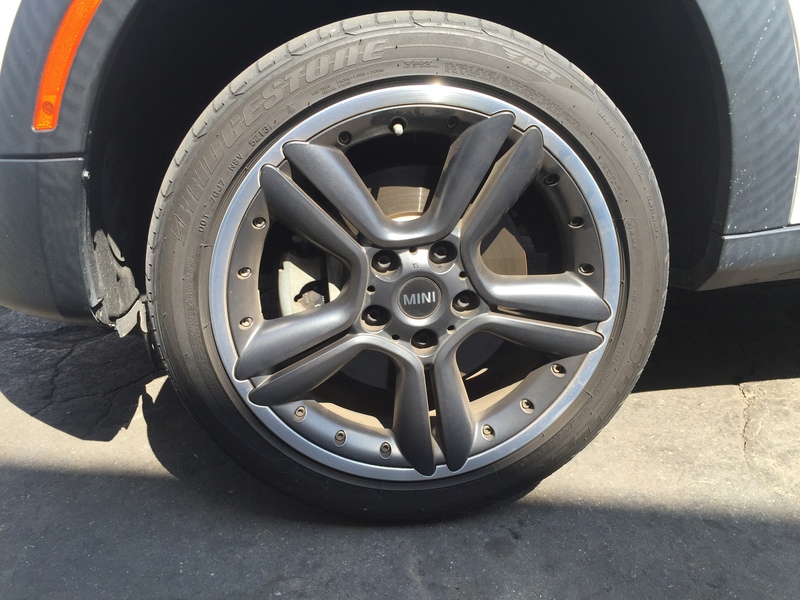 i am trying to buy the same tires that came in my Leased 2014 mini copper Countryman and i was wondering if you guys can help me picking out these tires being sold in the website . i am going to be turning in the mini in less than a year and don't want to fork over 300 dollars for each tire and if i take it to the dealer they will back charge me for new tires. they are advertising 9-10/32 tire thread i have no idea how much that really means. is it worth buying? ny current front tires are gone and defiantly need replacement ASAP.. I replaced the horrendous runflats on my 09 JCW Clubman with 4 Barum Bravura, or some such foolish name of tire - it's the cheapest tire Discount Tire sells, yet it has the best treadwear, temperature and ride ratings, second only to a Continental tire - they say this tire is made by Continental for Discount. It is an awesome tire, and entirely and radically improved the driving and handling characteristics of my car. Put them on yours & you'll be hard pressed to want to sell it - they're THAT GOOD!